It's the end of another fabulous evening with our Vintage Photo Booth. The leather album has been signed by all the guests of the bride and groom, and the couple is in the booth for one last shot. Photo courtesy Jeff Sharpe Photographers. The couple will also receive a DVD with not only the double-strip Photobooth images, but also a folder of high-resolution images captured by the computer in the booth. 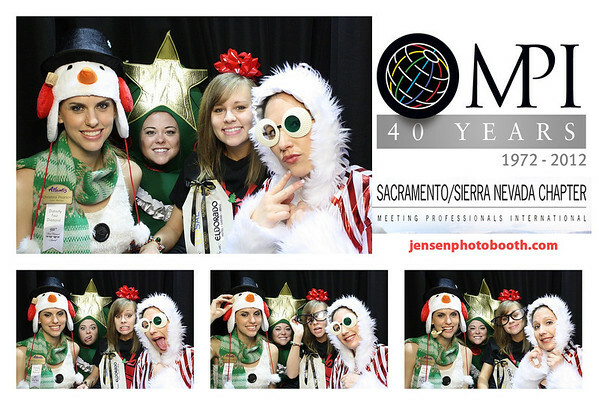 Today we had a very fun booth rental at the California Society for Association Executive's annual tradeshow "Seasonal Spectacular", held in Exhibit Hall of the Sacramento Convention Center. Vintage Photo Booth fun at "The Wedding of a Lifetime"
Kenny & Shannon's fabulous Vintage Photo Booth was a hit at their reception. One of the HUGE advantages of our Vintage booth is the ability to seat many guests at once. 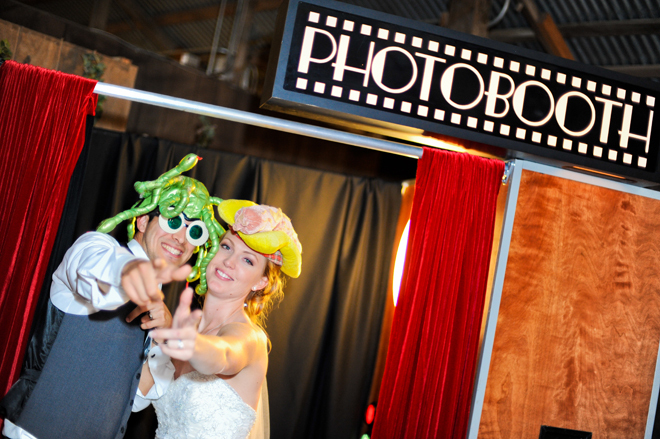 Most Photo Booths are only designed for 1-3 guests. This photo shows all 10 table #6 guests at DeeAnn and Patricks wedding at Newcastle Wedding Gardens, about 20 miles east of Sacramento.